Thomas Böcker’s recent concerts have been a major breakthrough in exploring video game music artistically, taking a wealth of fantastic compositions from the best video games have to offer and creating elaborate musical journeys. 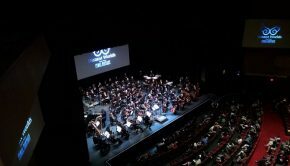 These concerts have captivated audiences around the world from Germany to Japan to Sweden, offering a more classical approach to video game music concerts in contrast to other shows, who’s approach is exactly that, that of a show. The biggest focus of these concerts has been the music of Square Enix, with Symphonic Fantasies bringing to life each of the companies biggest games and series’ (Chrono Trigger/Cross, Secret of Mana, Kingdom Hearts and Final Fantasy) and Symphonic Odysseys paying tribute to arguably the greatest video game composer to ever have lived (Nobuo Uematsu). This time around, the team at Merregnon Studios decided to take a more focused approach to telling the story of specific Final Fantasy games through their music, a smart move on their part. 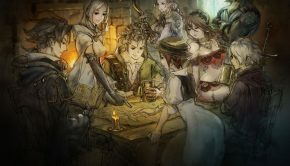 As Thomas said in Chris’ interview with him last year, the focus with other Final Fantasy arrangements has usually been on the big themes, often individually, neglecting to tell the wider story that these games are also known for. 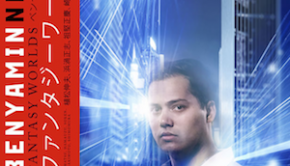 Therefore the aim with this concert was to capture the overall feel of the stories of VI, VII and X, which from a musical standpoint were the most attractive games to the team. 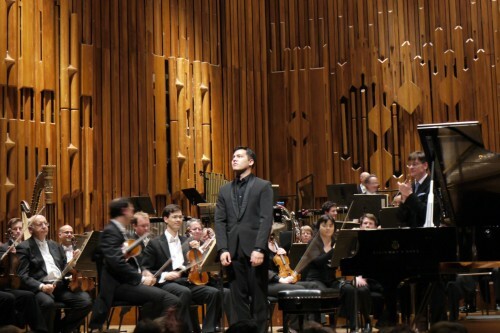 I was never really sure about flying to Germany or other places to see these concerts live but when it was announced that Final Symphony would also be performed in London I jumped on the opportunity to attend. 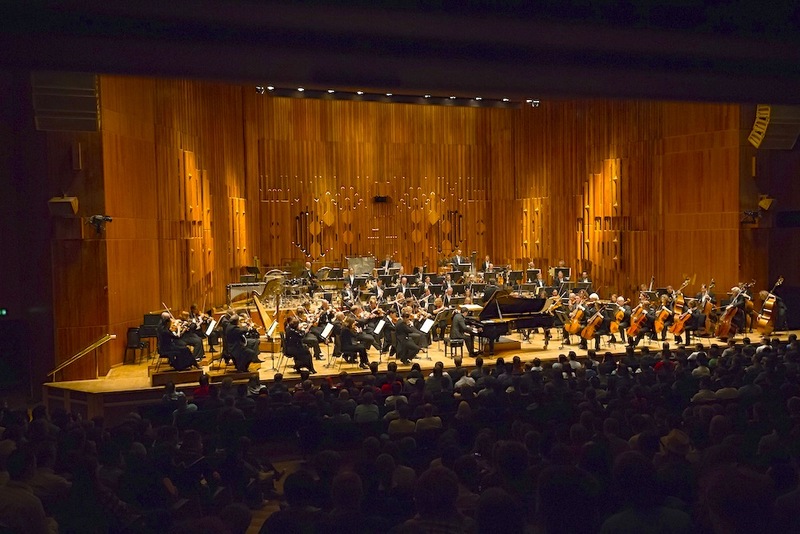 Not only that, it would be at the Barbican Centre, right next to where I did my undergraduate degree (the Guildhall School of Music and Drama) and the orchestra performing would be the London Symphony Orchestra, which would be their first ever experience of video game music (that’s surprising considering how many film scores they’ve recorded). So on Wednesday 29th May, thanks to an invite from Thomas, I travelled up to LSO St Luke’s to see a bit of the rehearsal. While there I met other members of the team, including piano soloist Benyamin Nuss and the two arrangers Jonne Valtonen and Roger Wanamo, as well as other people from the media including two people from the Guardian newspaper, who I’m really glad are taking an interest in stuff like this and promoting it in a positive light. While watching them rehearse, Benyamin said to me how amazed he was with how quickly the orchestra were able to sight read and pick up the music, and he was right. Apparently this was their first time seeing the music and already it sounded amazing, and according to Ben it’s a really hard score overall. This was backed up by some of the players in the orchestra, during the lunch break I heard tuba player Patrick Harrild (I know him because he teaches at the Guildhall) doing some extra practice, and he also told me it was challenging to play. The orchestra took the music to heart and even cheered during one of the big climaxes (according to the steward looking after us, this is a regular occurrence for the LSO). I jokingly said to Thomas and the steward maybe they should do that in the concert, this is the kind of concert where it would be welcome. The next day was concert day. I arrived pretty early to shake hands with and get my copy of Symphonic Fantasies Tokyo signed by Nobuo Uematsu and Masashi Hamauzu, which was great. As expected the queue was mega and everyone was eager to meet the two masters (I asked the people who were first in line when they arrived at the venue, they said since 10:30am, they were waiting at the front of the line for over 6 hours!). After that I talked to a few people including Thomas, the few cosplayers in attendance (the little girl dressed as a chocobo did an awesome squark impression too) and one of the readers and forum/Facebook group members of the site, which was really cool. I then met up with my friend, had dinner at the Barbican Foodhall (pretty decent place if you’re ever in the area, mostly their food is good) and then it was time for the concert. The first interesting thing I noticed about this concert was that there is no choir in this programme. An interesting creative decision as I think this is the first big video game music concert I’ve heard of that has not used a choir, and to be honest, many choirs I have heard in previous concerts have either been weak (numbers wise) or underused, so this was probably a smart decision. There were some creative percussion instruments on stage too, including some metal sheets of varying thickness and some wooden chimes. Before the concert began there was a pretty funny technical hiccup on the no recording and no photos announcement with the microphone not working and the audience playing along really well. The concert opened with a new Fantasy Overture by Jonne Valtonen, subtitled “Circle Within a Circle Within a Circle”. It was a very energetic opening and a nice contrast to the tuneful overture of Symphonic Odysseys and the discordant overture of Symphonic Fantasies. I think the subtitle refers to the strings playing really fast with the notes their playing going constantly up and down in a circle (correct me if I’m wrong Jonne). The brass were really strong in their fanfare like playing, and I really liked the slides from the double basses. The energy was superb, and the orchestra really kept it going throughout it’s running time, never letting up except for the rather sudden whistle from the percussion at the end. A very strong opening. Next up was Roger Wanamo’s Final Fantasy VI symphonic poem: Born With the Gift of Magic. With this arrangement, Roger aimed to retell the story of the first Final Fantasy game he ever played, as he experienced it. The programme notes offer some valuable insight into this, focusing mostly on the journey and character of Terra Branford and the psychopathic personality of Kefka. The piece opens interestingly with the opening motif of the Opera Scene, with some nice extra decoration, and this transitions nicely into some of the darker musical motifs in this game such as the Emperor’s theme. Throughout these opening passages what really stood out was how powerful the full orchestral tutti of the LSO is, the balance and the impact were perfect. Individually each section was also incredibly effective as demonstrated in the next section of the piece, “Kefka”. The strings absolutely nailed the descending laughing effect and the solo bassoon introducing the opening melody worked well, and the tutti was fantastic at representing the chaos Kefka’s psychopathic Joker like character. It was creepy and comical and so entertaining. After all that villain music, the piece then moved on to some of the more magical pieces of music such as “Esper World”, and “Terra’s Theme” mixed into the fairytale like atmosphere built up was so effective, especially when “Terra’s Theme” was played on the celeste. An epic build up followed and then we were into the explosive battle themes section. I really loved how the music was completely unpredictable all the time, keeping it interesting throughout until it suddenly stopped, slowing building up to a militaristic rendition of “Terra’s Theme”. Principal trumpet Phil Cobb (who was two years above me at the Guildhall) really got a chance to showcase how awesome he is in these last two sections. The piece then closed with similar music to the opening of the poem. This was a brilliant rendition of what many would call the greatest video game soundtrack ever made, chronicling the major events of the game in spectacular musical fashion. 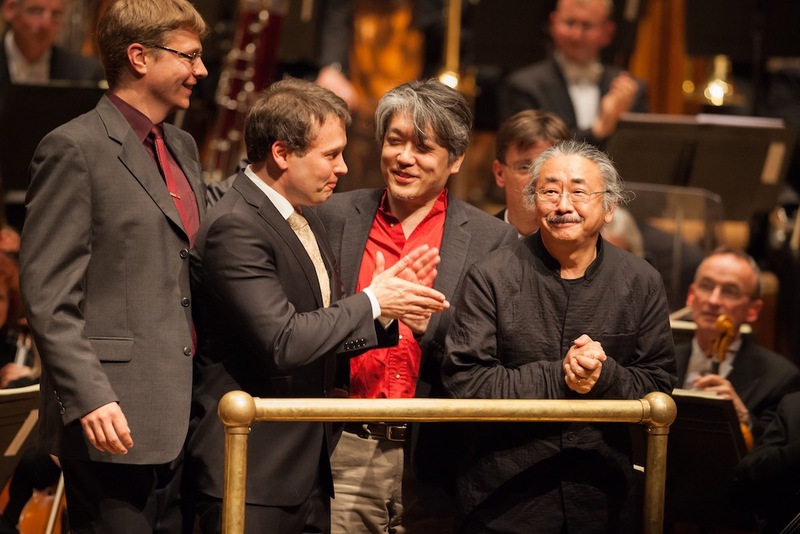 Next up was the Final Fantasy X Piano Concerto, arranged and put together by none other than Masashi Hamauzu himself. 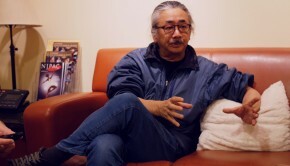 Hamauzu comments in the programme on how he sees the Final Fantasy series as a continuum instead of just separate stories with similarities, and his intention with this piece was to explore the music as a bigger overall vision. This really shines through in the arrangement, as it definitely feels like a complete work as oppose to a medley. The first movement, Zanarkand, has a very jittery opening, which gradually builds up, introducing some of the gorgeous chords that represent this game. The next section is very solo based, I really liked the way the piano became the accompaniment underneath cello and woodwind solos before taking over the main focus. Despite being titled Zanarkand, this piece never plays the famous tune straight, and does some really interesting things with the tune and harmonies, which I really like. It was nice preparation for the more intense music to come. The next part was brilliant, I really like the Zanarkand tune being played over the top of the subtle “Besaid Island” motif, it was so effective. This section really highlighted how well Benyamin Nuss can play the floaty chords that define so much of the Final Fantasy composers piano writing. The next cadenza section highlighted how harmonically interesting the music of the series can get, and is in my opinion one of the reasons why so many people love the series music so much. This second movement “Inori” also strikes a really good balance between quirky and romantic epic, once again I was never really sure what was going to happen musically, and I love that unpredictability in music like this. The next cadenza was definitely much more romantic, exploring more of the love story elements of the game, with the main orchestra carrying that through to the end of the movement. This romantic music was further explored in the opening part of the last movement “Kessen”, before exploding into “Decisive Battle” for a very action packed finale to the concerto. Benyamin Nuss did such an incredible job in this performance, and people who have been following these concerts since the beginning have commented on how he has grown so much as a performer over the course of the last three years, and he certainly gave a stunning performance at this concert. I love how much he gets into the music, even going as far as to stand up on occasion for effect, and the LSO backed him up so well. People I talked to who went to the Germany concert as well said that the LSO were even better than Sinfonieorchester Wuppertal. 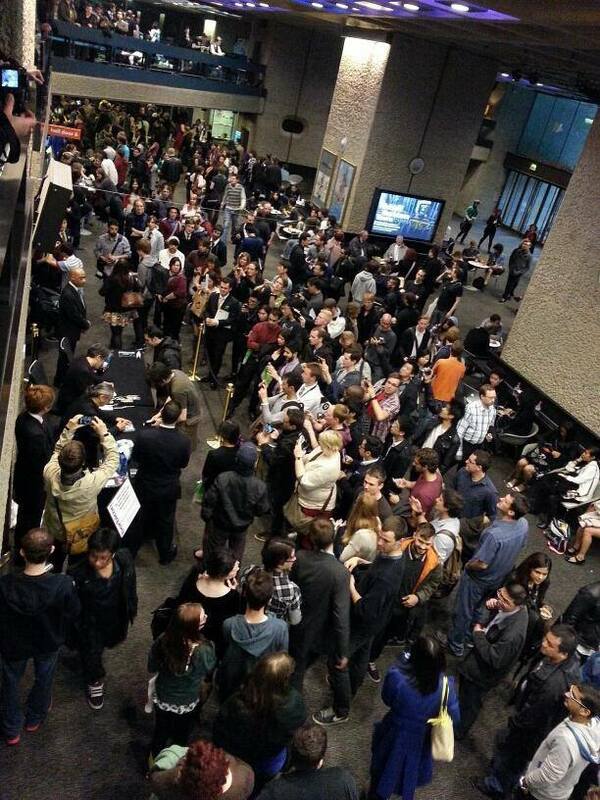 After the interval (where I remembered to turn my 3DS on to get those all important streetpass hits!) it was time for Jonne Valtonen’s Final Fantasy VII symphony. The movements of this symphony are named based on three central themes to the game. The first, Nibelheim Incident, is focused on the characterization of one of gamings most iconic villains, Sephiroth. The beginning, “One Chosen by the Planet”, reminded me a little bit of “Dancing Mad” with it’s brooding bass and bells underneath an epic build up. The movement constantly shifts gears between intensive, exciting music, and slow, creepy music. I especially love the discordant work in this movement, it was so effective and well put together. The fragments of other melodies creeping in where unexpected such as “One Winged Angel” also worked really well. This all lead really well into JENOVA, which I’ve never heard sound so epic. After this, “Trail of Blood” kept teasing us with sudden hits from “One Winged Angel” before exploding into, as my friend James put it best, the most evil version of this tune that I have ever heard. Swapping round some of the instruments roles for maximum effect made it so exciting to listen to, so much so that I completely forgot that there was no choir in this concert. The conductor Eckehard Stier even jumped a couple of times in the moment! Then all the games themes were built on top of each other, Jonne says in his programme notes that this reflects ‘the internal chaos Sephiroth is feeling as he becomes aware of his past’, before an epic minor chord finishes off the work, giving off a really powerful omen. The second movement, “Words Drowned By Fireworks”, carries on the darkness slightly but there’s a heavy exploration of the more romantic side of the game, opening with motifs from Aerith’s Theme and the Main Theme before sinking into “Words Drowned by Fireworks”. The main themes of this movement are based on Cloud’s feelings towards Aerith and Tifa, and here the musical themes are a lot more obvious than previous movements and works, and it worked really well for a romantic second movement. The movement constantly switches between the three character’s themes, and all of these tunes were played with a lot of love from whoever was playing them, whether it was a tutti or a solo section, however loud or quiet, it constantly held my attention. I also liked the percussion work in this movement, which was perfectly balanced with everything else. After all the romantic music, we’re suddenly surprised with an interruption from One Winged Angel, with the melodies of Aerith’s theme over the top. It kept getting more and more dissonant until the iconic moment of Aerith’s death happens. This is followed by silence and the dissonant strings dying away and was an unbelievably effective way of representing one of the most memorable moments from the game, and a great way to close off the movement. The third movement, “The Planet’s Crisis”, represents the final moments of the game. The final battle of good vs evil represented by intense battle music and triumphant, inspiring militaristic music. Kudos once again to principal trumpet Phil Cobb on some fantastic solos such as in “How to Become a Warrior”. This more melodic music makes me think of all the things that Cloud and the gang are fighting for at this moment, and then the fight begins with “Jenova Absolute”. This is very suddenly interrupted by some much slower and more jittery music for uneasy effect. The trombone glissando’s were very effective here, as were many other instrumental effects. Then when it started building up again, I particularly liked the really low brass. After the battle finishes, the music represents the aftermath of the battle, where the lifestream grows from the planet. The music here is perfect for the ending of a big symphonic work such as this, and it constantly builds and builds until it couldn’t get any more overwhelming and full on. It doesn’t end here though, it dies down from the climax and ends on a much quieter note, which is a timeless effect that many of my favourite classical symphonies use. Another absolute triumph, it was a huge ride which I’m really happy I got to experience live. Just when I thought it was all over, we were then treated to not one, but two encores. The first was a fantastic romantic arrangement of “Anxious Heart” and the “Prelude”. During the performance of this one guy shouted “YEAH!” which got a cheap laugh. Forgetting that, the instrumentation and everything about this arrangement and performance was perfect. Then just when we thought it was all over, we got a second encore, opening with “Battle to the Death”, which was as epic as you’d think, but then in true comic style, a sudden shift into the quirky “Mogg’s Theme”. There was some great work from the tuned percussion and clarinets, and the whole orchestra captured the almost circus like style of the piece really well. The flute solo after the awkward (in a good way) silence was also fantastic, and the piece ended very suddenly. Definitely not your typical orchestral encore but thoroughly enjoyable. And there you have it, overall this was probably the best concert I’ve ever been to. As a video game music fan, the music from games has something about it that just makes me really pay attention and listen, it’s a magic that elsewhere is only really found in film and television music. And to hear this music that I absolutely love, written by people I really admire, get this classy, artistic and really thrilling treatment is something I will always remember fondly. This kind of creativity in music is very rare. New pieces of ‘classical’ music are written all the time, but in general ‘classical’ music (I use that term very loosely) is very focused on the past, and those works are not to be messed with (without feeling the wrath of the fans)! Meanwhile other concerts where soundtrack music is performed tend to be quite purist in their approach, not that either of these things are bad at all, but it’s nice to have variety. It makes me so happy to see and hear how many fans have embraced this once risky proposition so well, and how people from both sides of the spectrum (video game music fans and classical music fans) have gained a wider appreciation of the other as a result of hearing something like this. I had a great time, other people at the concert were equally ecstatic, especially Thomas Böcker, and the whole experience was truly remarkable. I am so grateful to Thomas for taking the time to talk to me and invite me to the rehearsal, and I hope he and the team will come back to London in the future to perform some of his other masterpieces (Symphonic Fantasies London or Symphonic Odysseys London or even Symphonic Legends London Please!). I also look forward to seeing where the boundaries will be pushed next, and I hope the LSO will embrace video game music more in the future. Best concert ever! Posted on May 30, 2013 by Joe Hammond. Last modified on October 12, 2014.